All in a wooded setting, with individual privacy. So you can share your "Real Alaskan" experience with the local wildlife, not the other visitors! 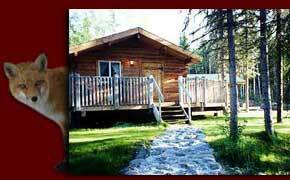 Our beautiful and comfortable cabins are all in private settings (some with a mountain view). There are 34 spaces in our RV Park, with full hooks ups and gravel pads (some with "pull-throughs"). Laundry facilities are available. 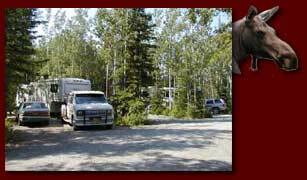 We are located on the beautiful Kenai Peninsula in Sterling, Alaska. 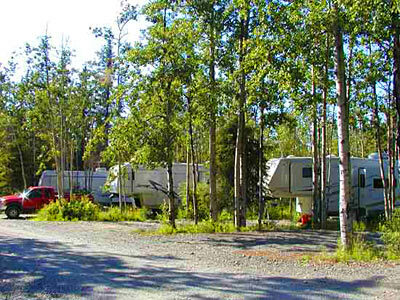 Approximately 150 scenic miles south of Anchorage and right off the main highway with easy access for your RV. maintained boat launch. There are also numerous stores and restaurants nearby. Our friendly staff will gladly assist you with arrangements for local activities. Just let us know what you would like to do!